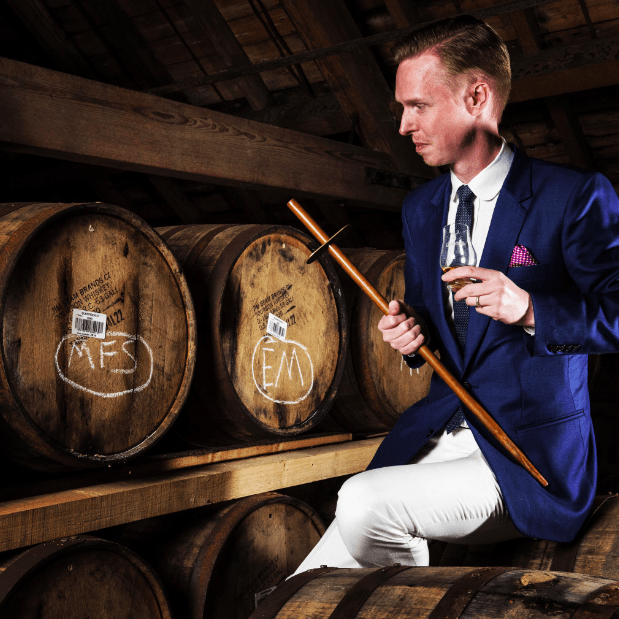 Matthew is the whisky-loving Award winning Brand Ambassador, turned Chief Marketing Officer at The Whisky Store in Singapore. Someone with a real passion for discovering and sharing the sources of flavour and aroma in Single Malt scotch whisky. 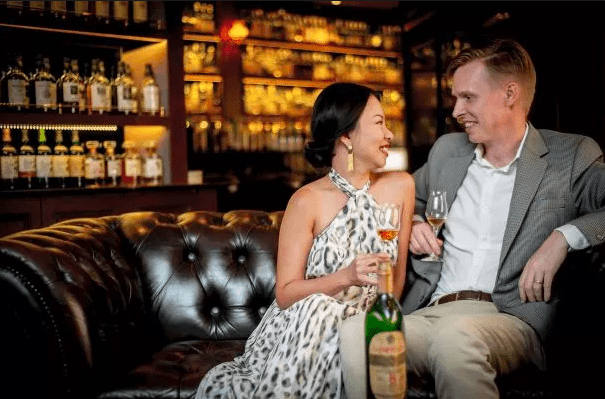 I first heard of Matthew when he worked as the Regional Glenfiddich Brand Ambassador for Asia Pacific, and I have been avidly following his passion for whisky through his Facebook page ‘Whisky Molecules‘ and also ‘Son_Of_Whisky‘ on Twitter ever since. 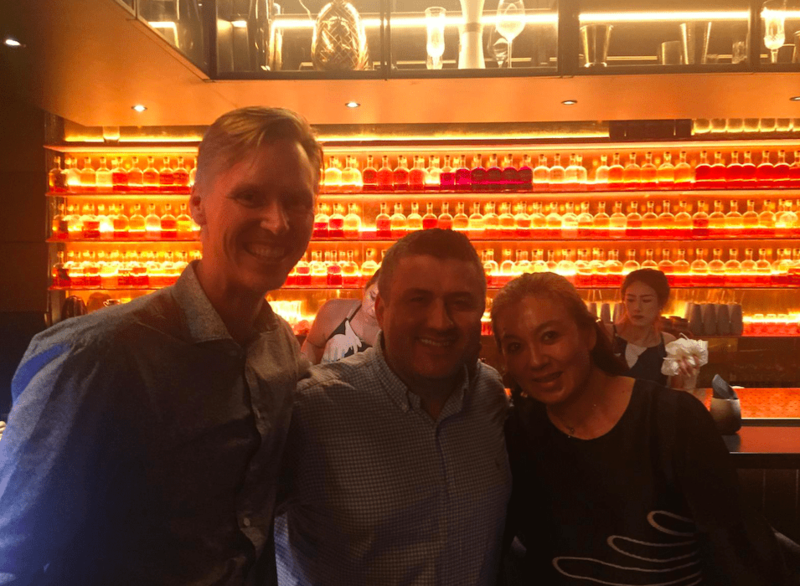 Inside the Cask: Hi Matthew, you have recently moved to The Whisky Store in Singapore? How did it come about and what should we expect from you going forward? Moving to The Whisky Store was not a move I took lightly. I wanted to move on from my previous position as I needed a new challenge, and one that would be a good career step. 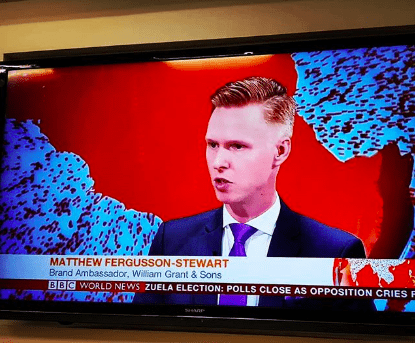 I actually spent quite a long time looking around and I chose to take up the role of Chief Marketing Officer at The Whisky Store for a number of reasons. Career wise it brought a lot more responsibility within a smaller company and I saw that as a great opportunity to be a part of creating change. There’s only so much you can do as a small cog in a big machine, but as a medium cog in a small machine you can make a huge difference. What really helped me to make the jump however was the team. They have staff who have been working for them behind the bar for ten years and that is almost unheard of in Singapore. What that shows is a lot of mutual respect and trust. Inside the Cask: What can you tell us about their approach to the Singapore market? What makes it unique? Any up and coming whiskies we should be looking out for? The great claim to fame for The Whisky Store is that they were the first to pursue a dedicated whisky concept in Singapore. They opened the first specialist whisky shop in 2005 and the first specialist whisky bar in 2006. First doesn’t always mean best, of course, but the team have continually pushed and built the company right up until today, and we are currently undertaking the process of listing on the stock exchange in Singapore which will help us to grow further. What is special is that the growth has also come without losing focus on the two primary drivers within the company – great whisky and great people. As a team we believe in sourcing, distributing and serving great quality whisky, and we believe in finding and looking after the people that can help us do it. We are always on the lookout for great brands to represent, but what’s really special about our whisky is some of our exclusive casks we are able to secure. And yes, you’ll be seeing more of those from us next year for sure! 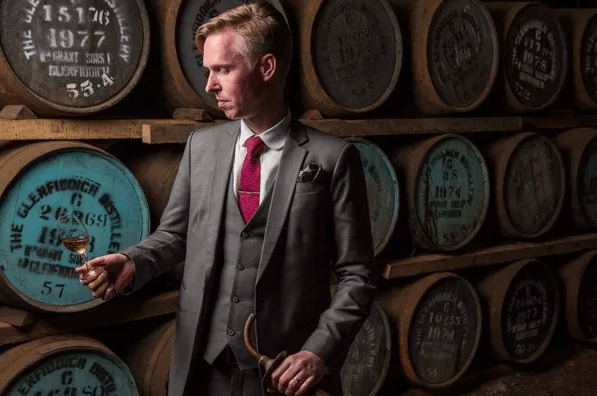 Inside the Cask: You have previously worked as the Regional Glenfiddich Brand Ambassador for Asia Pacific, winning the Whisky Magazine’s Icons of Whisky (Rest of World) Scotch Whisky Brand Ambassador of the year in the process. How was the experience of working for William Grant & Sons? William Grant & Sons is a great company. For a relatively small player in the global spirits market, they have some absolutely iconic brands and they know how to build them. I really enjoyed my time with the company and was in many ways sorry to leave. They’ll always have a special place in whisky-soaked heart. I really don’t think I would have achieved that award working for any old spirits company as WG&S really let their brand ambassadors take a lot of their own ideas and personalities and apply them to the brands they work on, where as some other companies tend to cut every one of the ambassadors from the same piece of cloth. 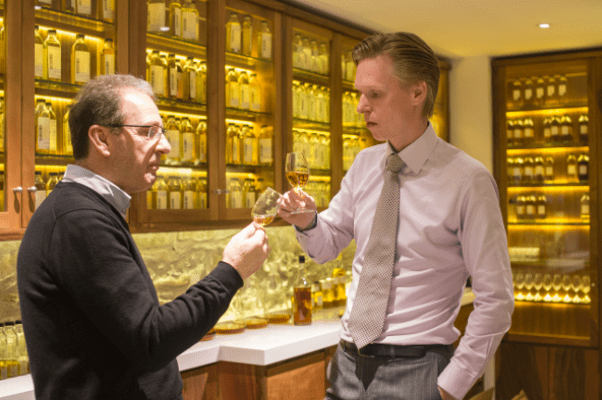 Inside the Cask Note: Matthew pictured below with Ian Millar, former Glenfiddich Global Brand Ambassador. Inside the Cask: Can you share with us more about your background? When and where has the passion for Scotch whisky come from? Whisky was always my preferred drink from the time I started drinking. I’d say that’s initially because my father and grandmother drank it, but it continued simply because I enjoyed the flavour. I started out with basic blends, but one day I tried a peated single malt and became hooked on the single malt category. My first whisky job was a bit of part time work with the Scotch Malt Whisky Society which is where I discovered single casks whiskies and I never looked back. That said, I started my career a market analyst and consultant and it wasn’t until nine years ago that I started working in whisky full time. Many brand ambassadors come into the industry from a bartending or blogging background but I came into it very differently. That different background played a big part in helping me to get the role with The Whisky Store. Inside the Cask: For people interested in coming into the drinks industry, what would be your advice? The first thing I’d ask anyone is why they want to be a part of this industry. A lot of people looking from the outside see the drinks and the banter and think it looks like a lot of fun so they want to be a part of it. It can be a lot of fun, but the work can easily lead you into an unhealthy lifestyle both physically and mentally. It can be very physically and emotionally draining, and in some cases it leads to issues like depression and alcoholism. However, if you have a passion for hospitality and for drinks and the discipline to step back from all the partying from time to time, it can make for a highly rewarding career. Inside the Cask: What would you say to someone who says they do not like whisky? Nobody’s perfect 😉 More seriously, I get that whisky might not be for everyone. But like a great book, you shouldn’t give up in the first couple of chapters. You need to persist beyond the scene setting and early character development to find the underlying themes which is where the greatest reward comes. There are many different whiskies and many ways of enjoying them, and just because your first few tastes are not enjoyable doesn’t mean you can’t discover an appreciation or even a love for it. Personally I hated my first taste of mezcal, but having tried quite a few different mezcals and some great mezcal based cocktails, I have learned to appreciate it and I’m glad I put that effort in because it really is a great spirit. Inside the Cask: What surprised you about working in the Drinks industry? I’m continually surprised by the passion and dedication of many people in the industry. I guess I shouldn’t be surprised that others approach other alcoholic beverages in the way I approach single malts, but this is something you don’t really see from the outside looking in. Sure, there are some people working bars just to make extra cash, but there are a lot of people who care deeply about what they putting across the bar for other people to drink. These people don’t clock on and clock off just for their shifts, they are constantly reading, experimenting, swapping notes, going to seminars and masterclasses, practising, watching videos and observing other practitioners in order to get better at what they do. You don’t need a degree to become a bartender, but many people in the industry are out there putting in far more hours behind the scenes than it takes to get through university. 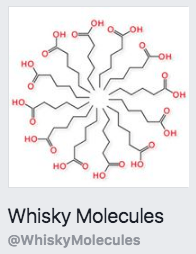 Inside the Cask: You have a Facebook page called ‘Whisky Molecules‘ that provides a geeky “chemical constituents” approach to whisky appreciation. What should people know about it? Whisky Molecules is the truly geeky side of whisky appreciation. I have a mind that enjoys analysis, which explains my early career, and I apply that to whisky too. I have always loved the fact that all single malts come from just three simple ingredients, yet you can achieve a huge variety of flavours and aromas. That variation all arises in the production process, and personally, once I’ve found that variation, I want to understand the reason for that variation. Whisky Molecules is where I explore some of the more in depth and technical aspects of whisky production. I don’t write it for other people, I research and write for my own understanding, and then I share it. I try to explain the concepts as simply as possible, but they can still be challenging if you’re not into that side of whisky. If you are, check it out on Facebook! This is where people kind of expect me to say “All the whiskies I get to drink!”. I discovered a long time ago that as great as some single malts are, they are far greater when shared with other people who love whisky as much as you do. In all honesty, my favourite part of the job is sitting down and drinking great whisky with other whisky lovers and talking about whisky and life.